Around the corner from the stand where I was signing my books at Esxence, I saw a trim, quiet man with glasses and a vivacious young Chinese woman, handing paper flowers to visitors instead of blotters. The name of the brand, YS.UZAC, didn’t mean much to me – but then, I must have been familiar with less than a tenth of the 155 brands exhibiting in Milan. But somehow I was drawn to these people, and struck up a conversation with Vincent Micotti, the owner and perfumer. Before starting YS.UZAC, he told me, he was a cellist in a famous Swiss symphony orchestra. 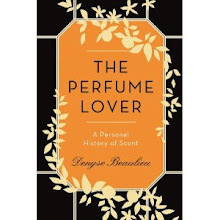 He’d been earning a good living, but had long dreamed of becoming a perfumer. I didn’t take notes since it was just an informal conversation, but from what I remember, he told me he was self-taught, but had enlisted the assistance of flavourists in the big Swiss labs (that would be Firmenich and/or Givaudan). So we spoke of music, and how the parallel with perfume could only be taken so far; of food, and how he loved to go to Asian markets with his wife and smell the herbs; of gardens, and plants, and being in contact with the scents of vegetal life. And so I liked him even more. We swapped cards, exchanged emails, and pretty soon an envelope arrived from Switzerland containing two exquisite black cardboard boxes with little cut-out windows, each holding two generous samples of his four scents. Of these, Pohadka is the one I’d singled out at Esxence. The name, which means “Fairy Tale” in Czech, is taken from a chamber composition for cello and piano by Leoš Janáček, based on the same Russian fairy tale that inspired Stravinsky’s Firebird. 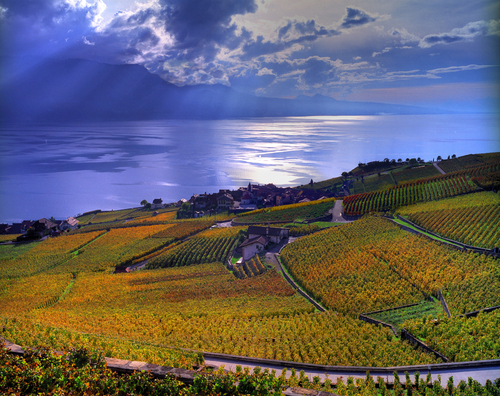 The inspiration, Vincent Micotti explains on the YS.UZAC website, is the beauty of the terraced vineyards of Lavaux, a UNESCO World Heritage site on what is known as the Swiss Riviera. But what Pohadka actually conjures is another Swiss landmark, Davidoff: it is quite simply the finest, most vividly naturalistic tobacco scent I’ve ever experienced. Is that why Vincent named it after a piece inspired by the Russian legend of the firebird, skipping from the flame to the thing it lights up through poetic association? To achieve this effect, the scent layers several notes with hay-tobacco facets. Sweet vernal grass, also known as vanilla or buffalo grass (it’s the blade you find in Żubrówka vodka bottles), with its malted cereal effects. Liatrix, aka deertongue: honey, vanilla, coumarin. The latter is used to flavor tobacco, as is davana with its dried-fruit, rose-preserve, winey facets. Clary sage also displays tobacco undertones: when it was added by Bertrand Duchaufour, along with ambroxan, to mod 72 of Séville à l’aube, I remember how strongly it brought out a cigarette and even an ashtray effect. As for immortelle, also in the tobacco family, its licorice flavor – boosted, I believe, by the similarly licorice-like isobutyl quinoline -- is the dark earth that anchors Pohadka’s jasmine, via the flower’s slight celery facets. The fragrance of tobacco flowers, which belong to the nightshade family, is related to jasmine’s, which hasn’t escaped perfumers – the jasmine-tobacco accord has already been exploited in Jasmin et cigarettes by Antoine Maisondieu for État Libre d’Orange. In Pohadka, the balance of the accord is reversed with tobacco a strong dominant, and jasmine a breathing space that allows the scent to soar. Despite being an almost one-note fragrance, Pohadka is a deliciously facetted and very naturalistic example of one of the rarest perfume families, now folded into the leathers, which is how YS.UZAC classifies it on its website. Like the real stuff, it can prove to be dangerously addictive. I know I’m hooked. YS.UZAC fragrances and a sample kit are available on the brand’s website, and will soon be carried by Luckyscent. Sounds lovely. Serendipity is a wonderful thing, isn't it? PS... My order from Amazon.co.uk has been "dispatched via Royal Mail." So. Excited. StyleSpy, that, and the good vibes some people give off! And re: your P.S., "Royal Mail" somehow *does* have a ring to it, doesn't it? Sounds wonderful, Denyse. 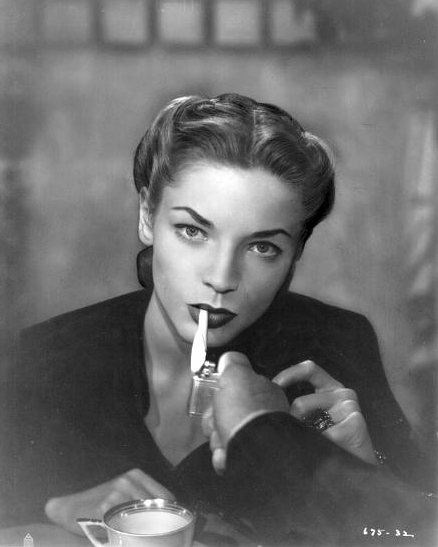 You know how I love a good tobacco (in spite of being a non-smoker). Jarvis, the one thing you couldn't say in this case is "I didn't inhale"! 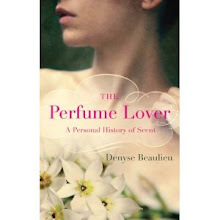 Great review Denyse, Does this resemble FUMERIE TURQUE ?. Chris, I didn't do a side-by-side but the resemblance didn't strike me. Pohadka really doesn't come off as an oriental, it's really much more centered on tobacco. I know Jasmine et Cigarettes and it is very similar to the ashtray, sweating people in an old library or reading room with old leather seats. Does this smells more of cigarettes or more of tobacco. I love tobacco, but don't like ashtray facets. Civava, I'm jealous, I'd love to get that from Jasmin et Cigarettes! On me it's mostly jasmine. As for Pohadka, I do get slight ashtray facets, which are naturally present in the smell of tobacco, but it's far from smelling like an old tarry ashtray: there's a lovely natural feel to it. Chris, I was joking, comments are for whatever we feel like discussing! And oud can definitely bring cheese to mind. I'm sure Katie had a laugh, in fact I'll go read it right away.